In this class you’ll learn how to do two different types of braids – the “2 Loop Finger Braid” and the “Swedish Finger Braid”. 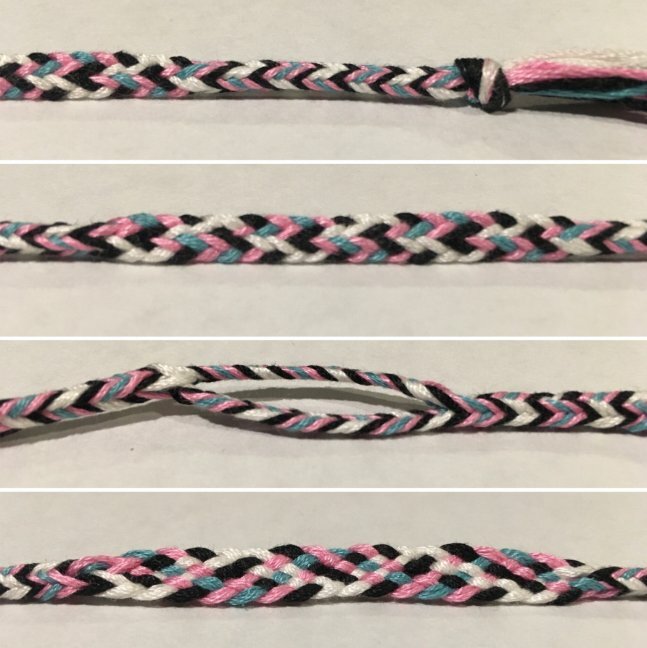 These Braid techniques are very useful to make cording for necklaces, friendship bracelets, drawstrings for clothes and pouches, hair ties, shoestrings and other craft projects. Cost for this 2 hour class is $20 total: $15 class fee, plus an additional $5 materials kit fee, payable to the Instructor the day of class. Minimum 4 students, maximum 8 students. If the minimum number of students is not reached, the class will be cancelled and a refund issued. Online ticket sales will end 48 hours prior to event. If ticket sales have ended, you may call the store to inquire about availability.